Vasant Dhar is an Artificial Intelligence researcher and data scientist whose research addresses the following question: when do we trust AI systems with decision making? The question is particularly relevant to autonomous machine-learning-based systems that learn and adapt with ongoing data. Dhar’s research has been motivated by a building predictive models in a number of domains including finance where he founded one of the first automated machine learning based hedge funds in the 90s, as well as areas such as healthcare, sports, education, and business. Dhar’s research breaks down trust along 2 risk-based dimensions: predictability, or how frequently a system makes mistakes (X-axis) and the associated costs of error (Y-axis) of such mistakes. The research demonstrates the existence of an “automation frontier” that expresses a tradeoff between how often a system will be wrong and its consequences. Trust, and hence our willingness to cede control of decision making to the machine, increases with increasing predictability and lower error costs. In other words, we are willing to trust machines if they don’t make too many mistakes and their costs are tolerable. As mistakes increase, we require that their consequences be less costly. The automation frontier provides a natural way to think about the future of work. With more and better data and algorithms, parts of existing processes become automated due to increased predictability, and cross the automation frontier into the “trust the machine” zone, whereas the parts with high error costs remain under human control. The model provides a natural way to think about the changing responsibilities of humans and machines as more data and better algorithms become better than humans with decisions. Dhar also uses the framework to frame policy issues around the risks of AI-based social media platforms and issues of privacy and ethical uses and governance of data. He writes regularly in the media on Artificial Intelligence, societal risks of AI platforms, data governance, privacy, ethics, and trust. He is a frequent speaker in academic as well as industrial forums. Professor Dhar teaches courses on Systematic Investing, Prediction, Data Science, and Foundations of FinTech. He has written over 100 research articles, funded by grants from industry and government agencies such as the National Science Foundation. 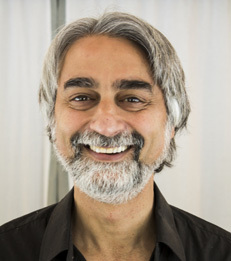 Professor Dhar received his Bachelor of Technology from the Indian Institute of Technology in Delhi, and his Master of Philosophy and Doctor of Philosophy from the University of Pittsburgh. Machines Make Mistakes - How Can We Trust Artificial Intelligence to Fly and Drive?